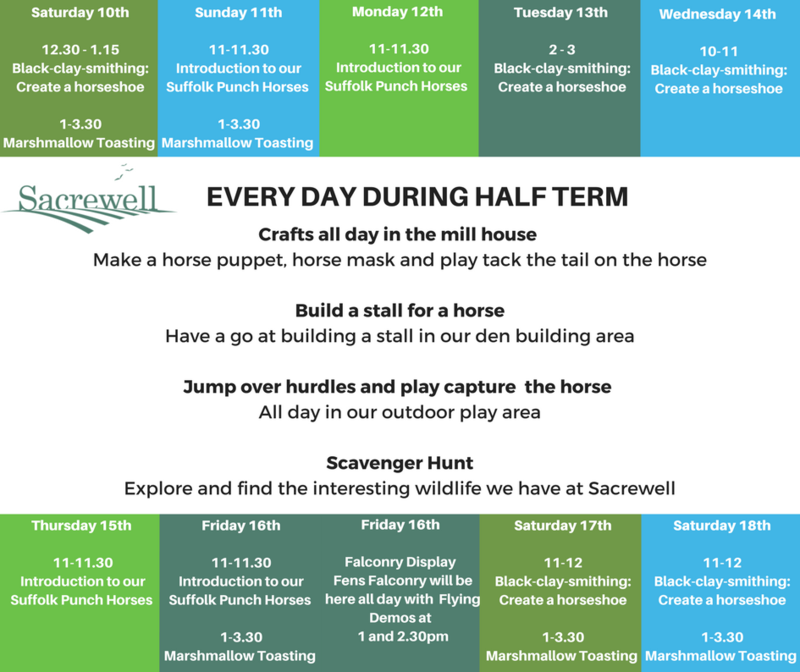 Venture outdoors and join us for a wild half term at Sacrewell, we’re open from 9.30 – 5. Explore our wildlife trail, meet our new rare breed Suffolk Punch horses and try some horse themed activities. Why not warm yourself up and toast a marshmallow by campfire, or try one of our blacksmithing taster sessions on the weekend. 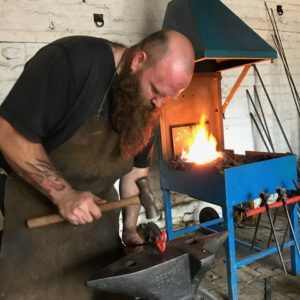 At Sacrewell, we offer blacksmith classes and taster sessions at £15 so that anybody as young as 7 years old can create a coat hook with our professionals from Chain Bridge Forge. When booking please note that the maximum that can be booked on to each session is one. Your session will entitle you to free admission on the farm, so come prepared to explore all we have to offer at Sacrewell!